Vivah Panchami falls on the fifth day of the Shukla Paksha during the month of Margashirsha in the Hindu calendar. Vivah Panchami is a sacred Hindu festival that commemorates the wedding of Lord Rama and Goddess Sita. On this auspicious day, Lord Rama lifted the gigantic heavy Shiva dhanush (bow) and string it. Princess Sita was married to him and devtas showered flowers from the heaven to greet and bless the newly-wed couple. Vivah Panchami falls on the fifth day of the Shukla Paksha during the month of Margashirsha in the Hindu calendar. The day holds immense significance in Nepal, Janakpur and some parts of Northern India. The celebration is witnessed by thousands of pilgrims from India and other parts of the world in Ayodhya, the birth place of Shri Rama. During the day, a grand procession leaves from one temple to another and ends with the magnificent enactment of this divine wedding ceremony. The idols of Lord Rama and Goddess Sita are embellished with beautiful clothes and expensive jewellery to give them a look of bridegroom and bride, respectively. Devotional songs in praise of lord Rama are sung by devotees. The festivities are notable in other Lord Rama temples in different parts of the country. 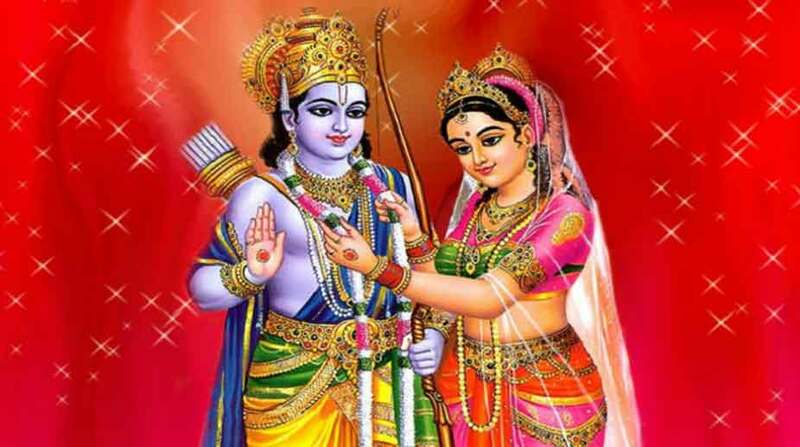 Ramleela that depicts the life of Lord Rama and Maa Sita is also observed in many regions. At Janakpur, special rituals and pujas are held across temples including the renowned ‘Dashrath, Ram and Janki’ temples. Here the celebrations continue for seven days with immense zeal and devotion. On the day of Vivah Panchami, devotees take holy bath in renowned lakes like Gangasagar and Dhanushsagar. Vivah Panchami is marked as the auspicious day to celebrate the union of two bodies into one soul for the seven life cycles one goes through before he/she attains salvation. “Om Janak Nandinaye Vidmahi, Bhoomi Jaye Dhimahi, Tanno Sita Prachodyat”.